Chop the onions, ginger and green chilli finely. In a vessel add wheat flour, rice flour, pepper, cuming seeds, chopped onions, ginger and green chilli along with salt. Add water little by little and mix well. The batter should be like thick butter milk neither thick nor too thin. Set aside. 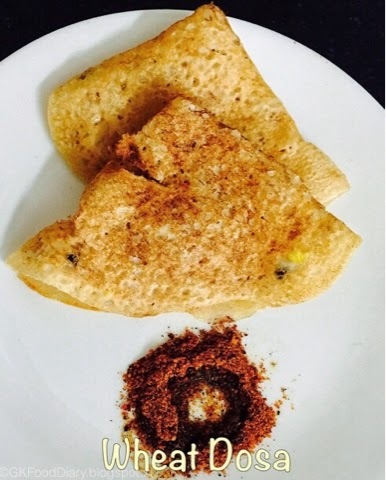 Heat a dosa tawa, add a laddle of batter to it and spread it to form a circle. Cook until brown for five minutes and flip the dosa. Cook for a minute and remove from tawa. Repeat the same process for the remaining batter.